I am glad you are here and thanks to everyone that joined last weeks party! Enjoy the features from last week. My weakness is Chocolate…any kind of Chocolate! How yummy do these Black Forest bars look? 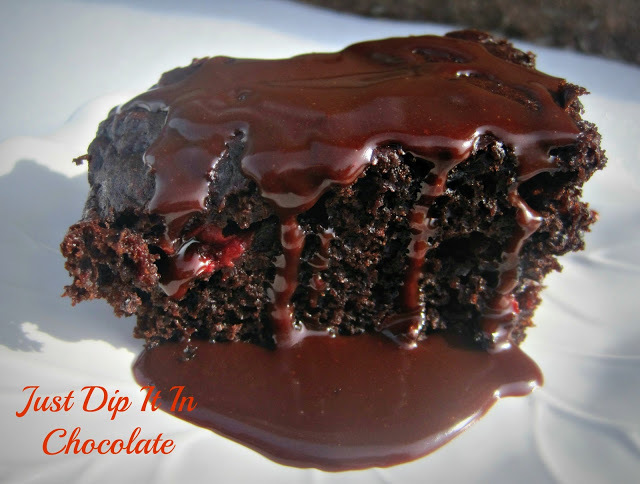 Thanks to Lizbeth at Just Dip It In Chocolate for sharing the recipe. This beautiful room belongs to Shirley @ Housepitality Design. I love the piece over her mantle and the pretty “pre-spring” vignette. down. She painted inexpensive lights from Home Depot to finish the look. there are many, including myself, that like chalkboard art and you are going to love these. If you were featured this week please grab the party button on the sidebar. fabulous bloggers lined up to post their Spring decorating during that week. at the Spring Fling Party. Hope to see you there! 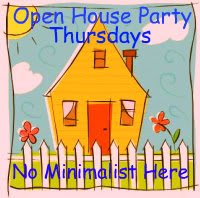 On to the Open House party…. Sherry….thanks so much for featuring my pre-Spring decorated living room…I so appreciate being amongst the other fabulous features from last week…Thanks so much for hosting…Have a wonderful week! Oh Sherry. That chocolate bar thingy is calling my name. And a close up photo too? How could you? haha. Seriously, thanks for hosting another talent-filled party! Thanks so much for the feature – so sweet of you…I am thrilled. And thanks for hosting as well – great party! Thanks so much for hosting another great one Sherry! Can't wait for the Spring Fling!!! The Spring Fling sounds fun! Looking forward to it! Thank you for the party! I hope you are having a great day! Hi Sherry, so much inspiration at your parties. Thanks for hosting. Thanks for the party!! Hope your week is going great! Hi Sherry. Thanks for hosting. Hi Sherry…thank you so much for hosting…have a wonderful week! Hi Sherry, thanks so much for giving us a place to share what we've been up to. I really appreciate the time you put into the party! Hi Sherry, just linked up my mantel, thanks so much for hosting! Thanks for hosting each week. Looking forward to the Spring Fling. Hi Sherry. So excited to join the party for the first time. Thanks so much for hosting. We love your blog and are long time members. Please check us out. Thanks for hosting, Sherry! Enjoy the rest of your week! Sherry I'm so happy to be featured in your party this week! Thank You so much! Have a fantastic week! I know I will thanks to you! Thanks so much for hosting! Loving the features!!! 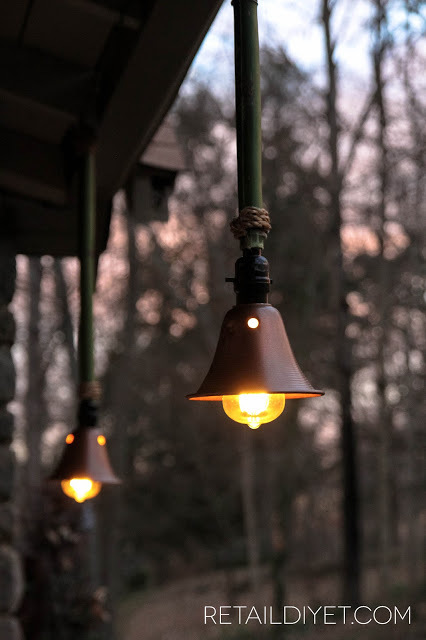 Thank you so much for featuring my DIY Bamboo Outdoor Lights! I'm so excited to be featured. thanks for hosting! Hi Sherry, I can't wait to curl up and peruse all the links this week, lots of eye candy for sure! You have some great features this week…love Shirley's home and that chalkboard art is GREAT! Thanks for hosting. I'm off to check the inspiring links! Thanks so much for hosting this wonderful party. You have the best guests! I'm so excited I found this party!! I'm a new follower and can't wait for the next shindig!! Thanks so much for hosting…looks like a lot of great ideas this week! Hi Sherry, I am a new GFC FOllower and also Brand new Blogger. Thanks for hosting. I hope I followed the directions correctly. I placed your button under my post…still learning everything. So many great features. Thank you Sherry, for hosting. Just found your blog for the first time. So glad I did. Thanks so much for hosting!